This 1995 film directed by Scott Kalvert isn't about basketball; it's about drug addiction and the autobiographical story of Jim Carroll who went from a promising basketball player, to a drug-laden street kid, to a professional writer, lyracist and poet. 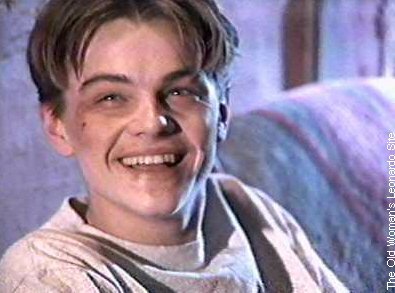 The Plot: Leonardo DiCaprio portrays Jim, a young teenager in a Catholic school who's suffering from growing pains and an acute ignorance of the world of the "street", crime and narcotics. Jim is introduced to "glue" and "coke" by his school friends, who laugh off the drugs' debilitating effects and mock those around them whom they see as "dope heads". When Jim's best friend dies of leukemia, however, Jim spirals into a maddening depression that brings him to attempt to soothe his shattered emotions and aching heart with a hypodermic needle filled with heroine. It's downhill from there.Jim is thrown out of his home by his mother, commits crimes to feed his ever-increasing drug habit, loses his chance to become a star basketball player, alienates his friends and neighbors, and takes regular beatings from street punks. Following a particularly serious beating, after which Jim is left by his attacker to freeze to death in the snow, Jim is rescued by an older male friend, Reggie (played by Ernie Hudson). Still suffering the effects of his addiction, however, Jim is none too pleased with the rescue and attempts to leave (after unsuccessfully trying to wrestle a "popper" from Reggie before Reggie can flush it down the toilet). Caring about Jim, and furious with him, too, Reggie locks Jim in a room in his ramshackle apartment, and forces him to go through withdrawal. After a grueling few days during which Jim is periodically screaming, hallucinating, wracked with pain, and foaming at the mouth, most of the heroine is extracted from Jim's system, and he seems to be on the mend. When Reggie leaves Jim to go to work, however, Jim feels the panges of his addiction returning. He runs out onto the street looking for money and drugs. When his old "haunts" and contacts bring him nothing, Jim sells his body for thirty-five dollars to a gay man in a public restroom. The drugs he buys with the money are worthless, however, and Jim rushes home to try to beg some money from his mother. When he arrives at the house, Jim is outraged to discover that his mother won't let him in. While he screams, swears, and cries outside her door, she calls the police. They arrest Jim and take him to jail where he's forced once again to go through withdrawal. By the end of the film Jim is clean and sober, and working at a small theatre where he's turned his diaries into stage plays, and uses the plays to tell others his story and warn them about the downward spiral of drug addiction. 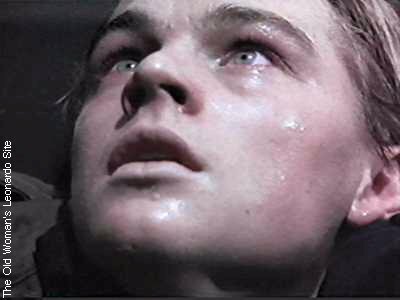 Our Review: A haunting film, this one provides fans of Leonardo DiCaprio with one of his best performances. He's thoroughly convincing as Jim -- at every stage: from teenage prankster, to backstreet drug addict. Two of the most compelling scenes are those when Jim goes through withdrawal at Reggie's house,and when he's back home begging money from his mother. 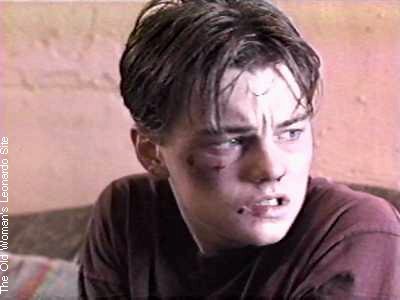 During that particular scene we see DiCaprio's Jim shift seamlessly back and forth between violent rage, realistic pain, and childlike confusion. 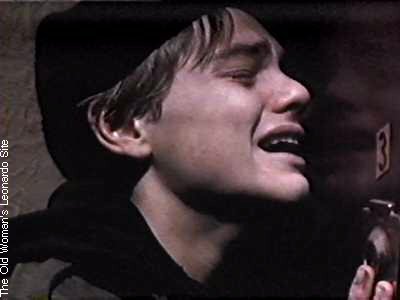 Anyone who might be in doubt of DiCaprio's acting ability has only to see this scene once to realize what a truly gifted actor he is. The language in the film is crude and the violence is very realistic, but ringing clearly in the background throughout the film is its decidely ANTI-drug message. Anybody who thinks drugs are "fun" and "glamorous" should take a good long look at this movie. 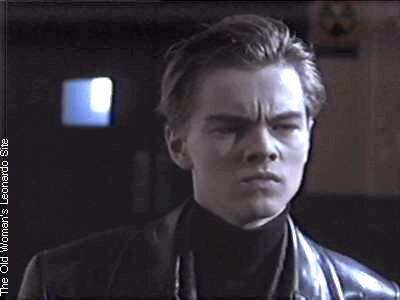 TRIVIA: Leonard DiCaprio is an avid amateur basketball player. A WARNING ABOUT THIS FILM: Although the movie screams with an anti-drug theme, some may find the foul language and brutal honesty of this film disturbing, even offensive. And the drug-induced "dream sequence" during which Jim goes on a hallucinagenic gun-toting rampage through his school is horrifically remeniscent of recent real-life school-yard shootings around the country. This may NOT be a film you'd want those impressionable, young "Leo" fans to see alone. MORE IMAGES FROM "THE BASKETBALL DIARIES"